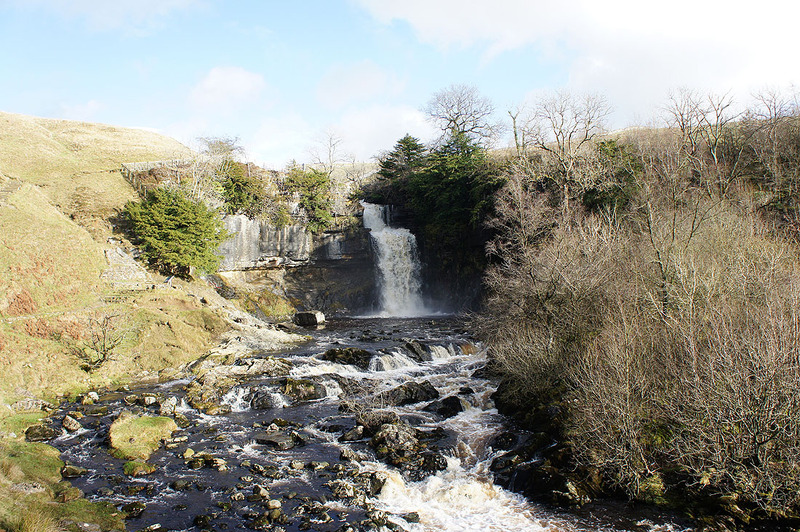 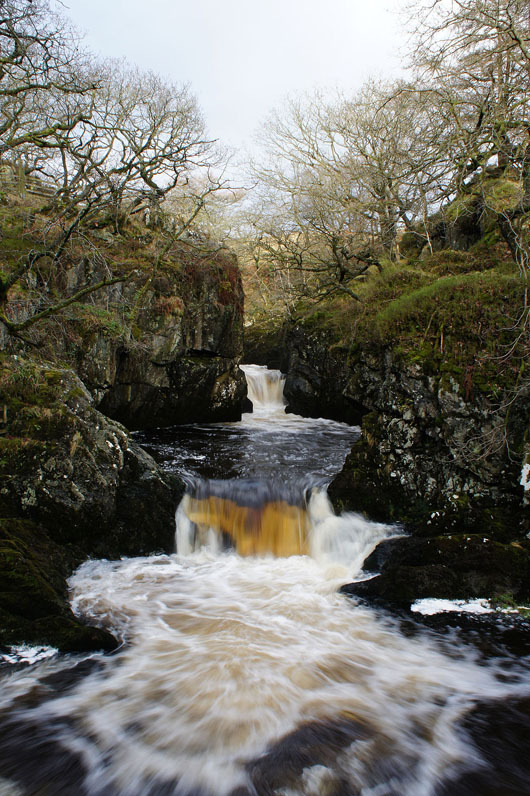 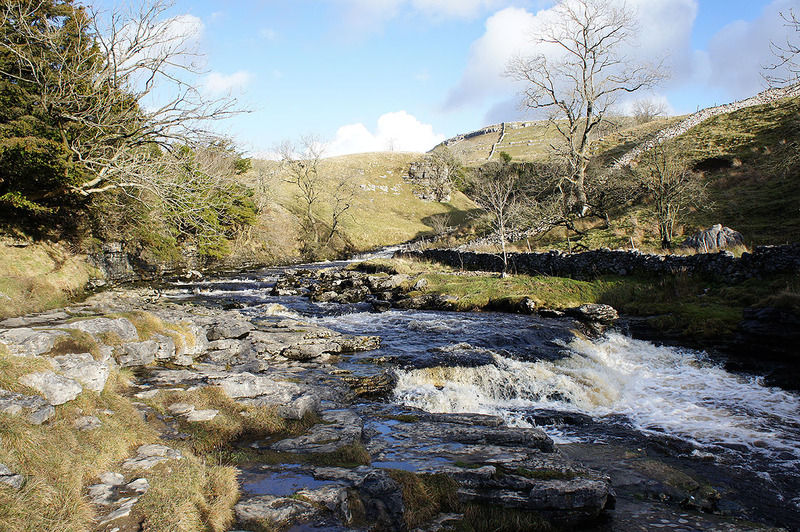 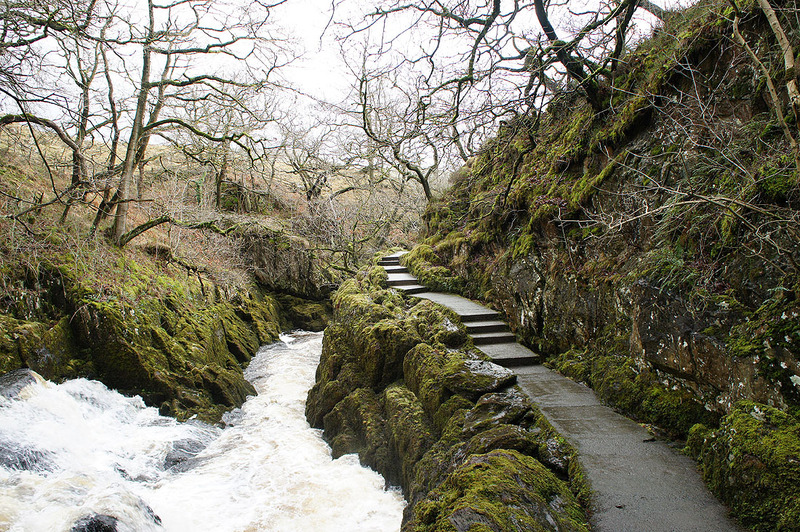 This was the second time that I've walked the Ingleton Waterfalls Trail and I enjoyed it as much as the first time round. 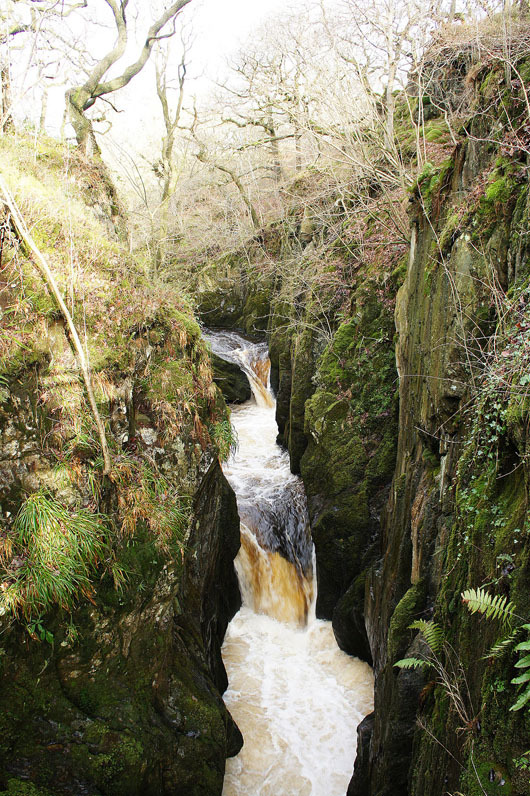 Maybe even more, following recent rain the falls were more impressive. 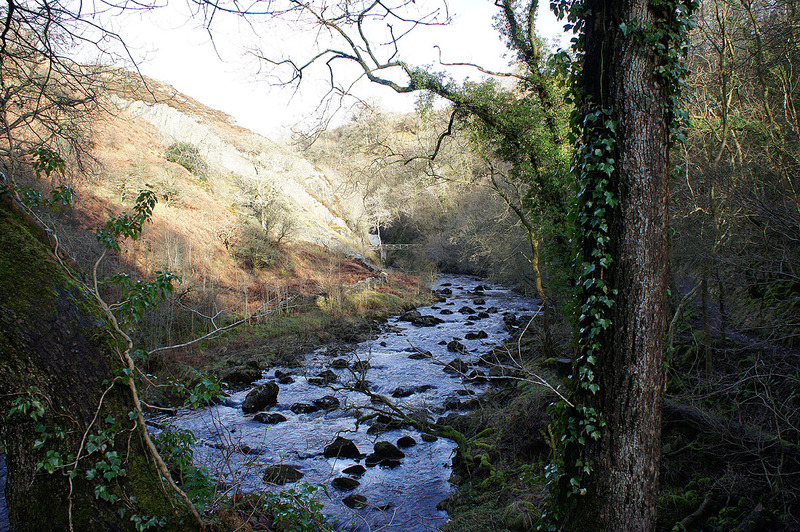 There's fantastic scenery to see round every corner as you walk up the valley of the River Twiss and down that of the River Doe. 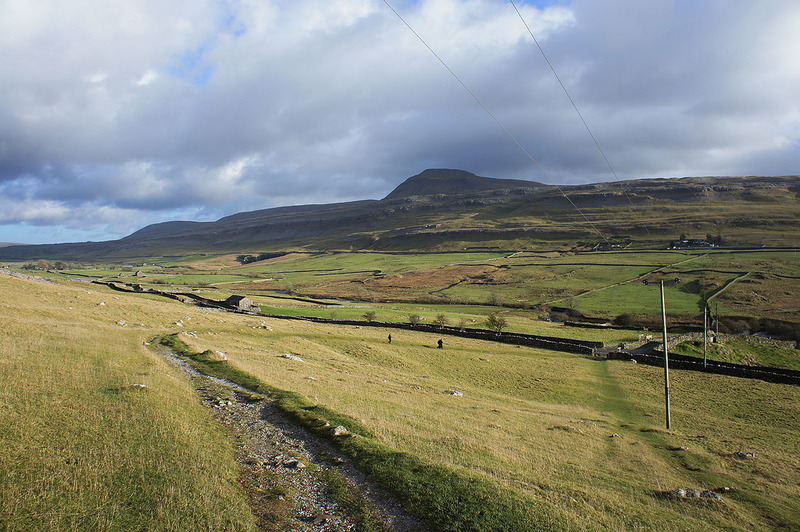 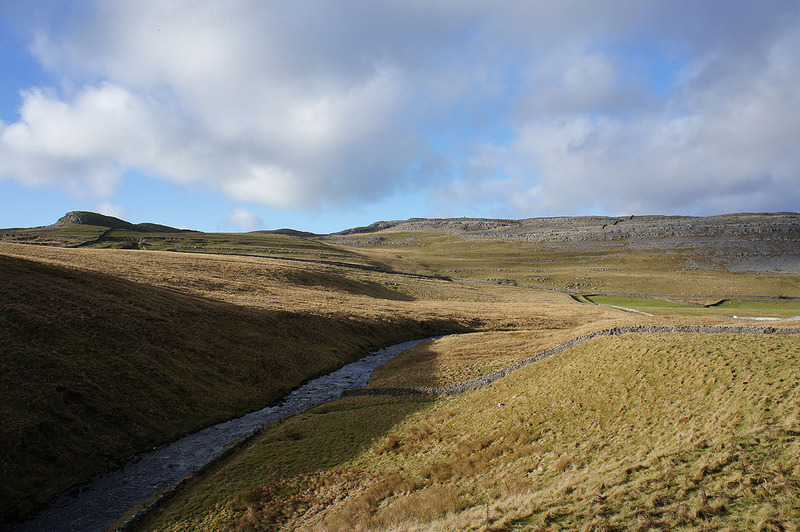 From the trail car park I followed the path up Swilla Glen to the bridleway under Twisleton Scar End. 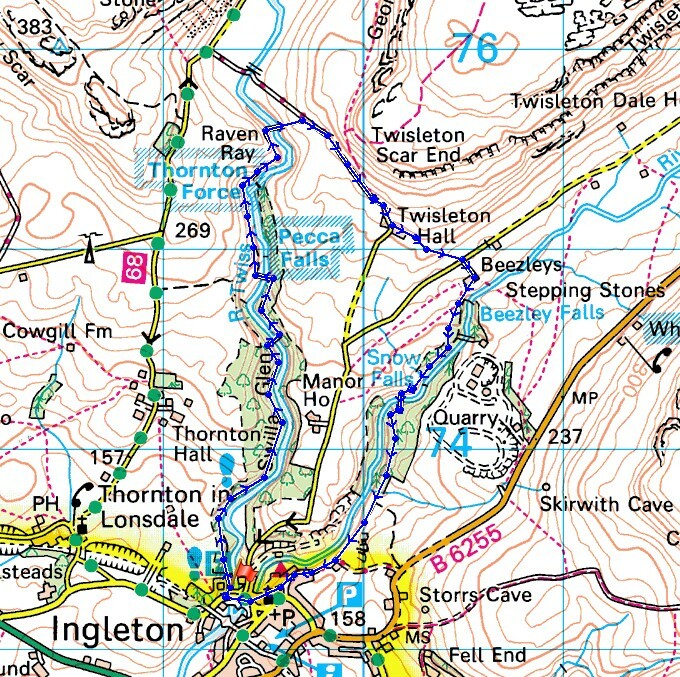 I then followed the bridleway past Twisleton Hall down to Oddie's Lane to reach the second half of the trail back to Ingleton. 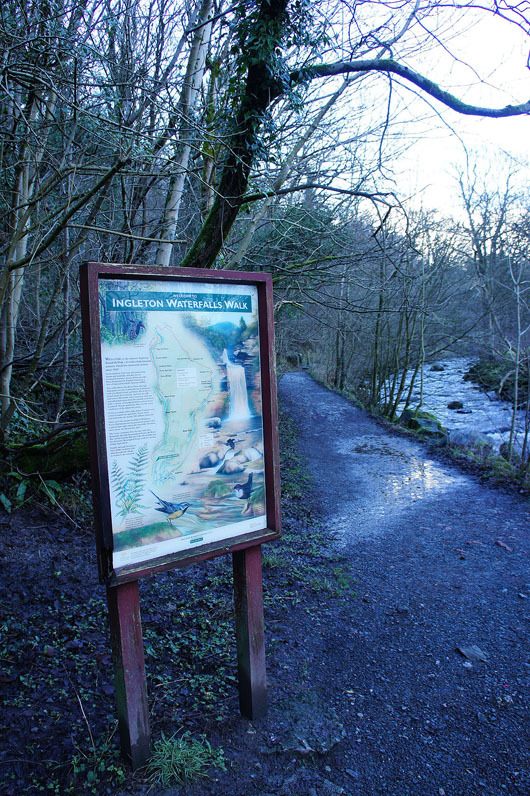 Heading up Swilla Glen to.. 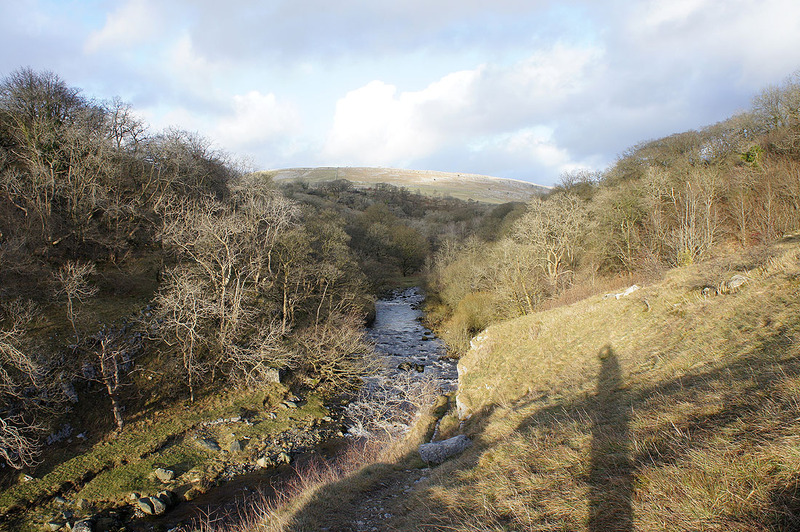 Onto the second half of the trail and I'll follow the River Doe down to Ingleton. 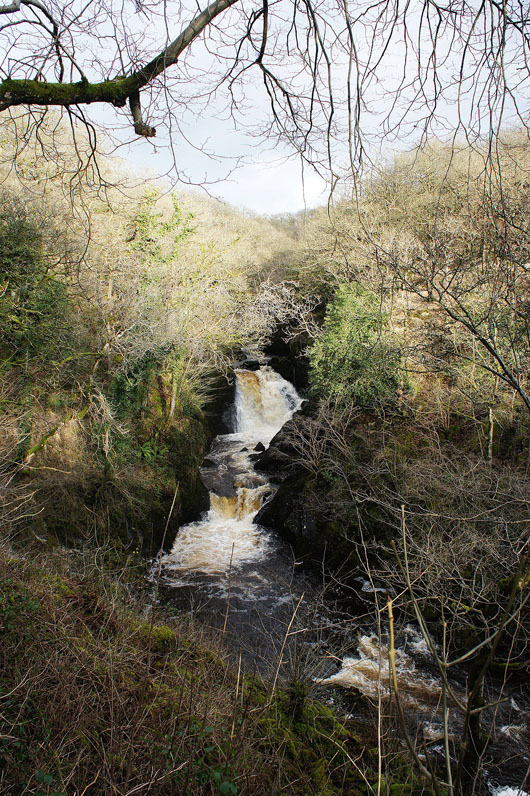 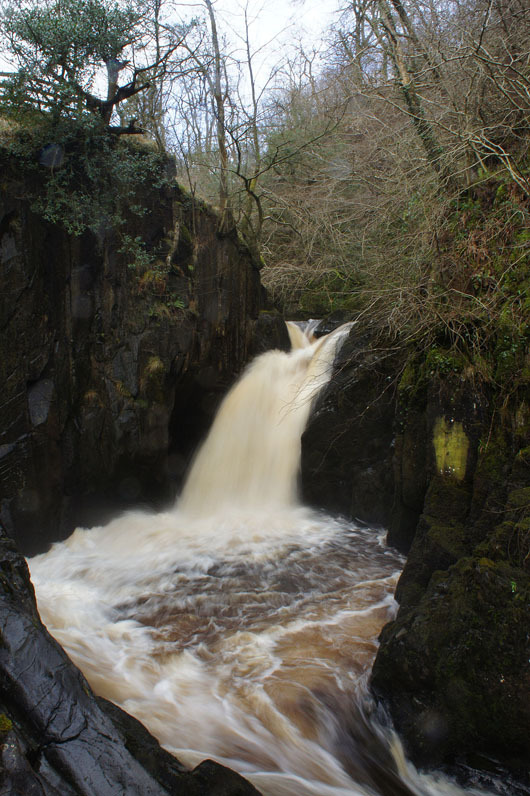 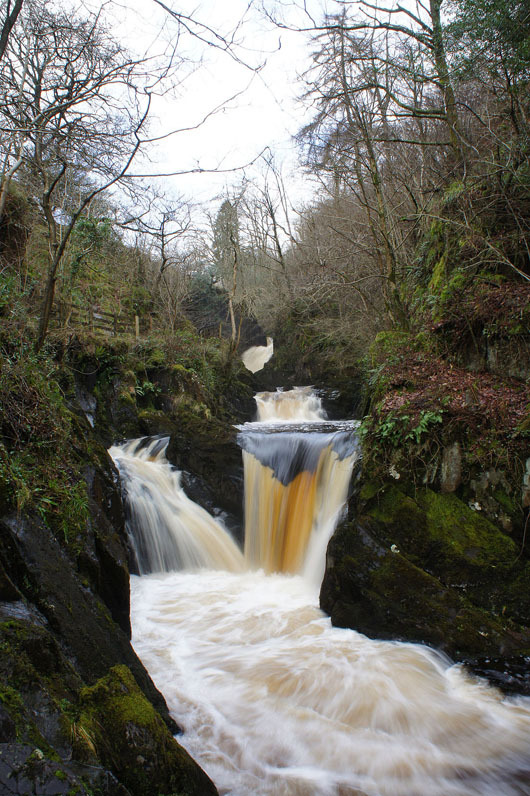 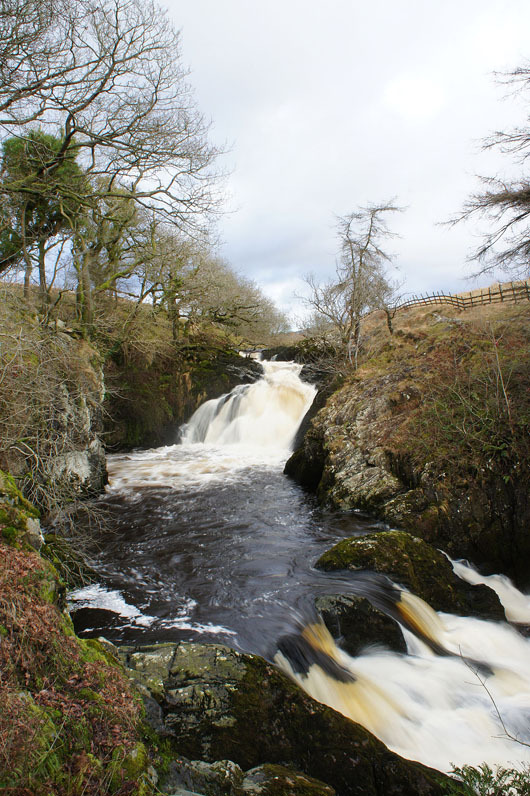 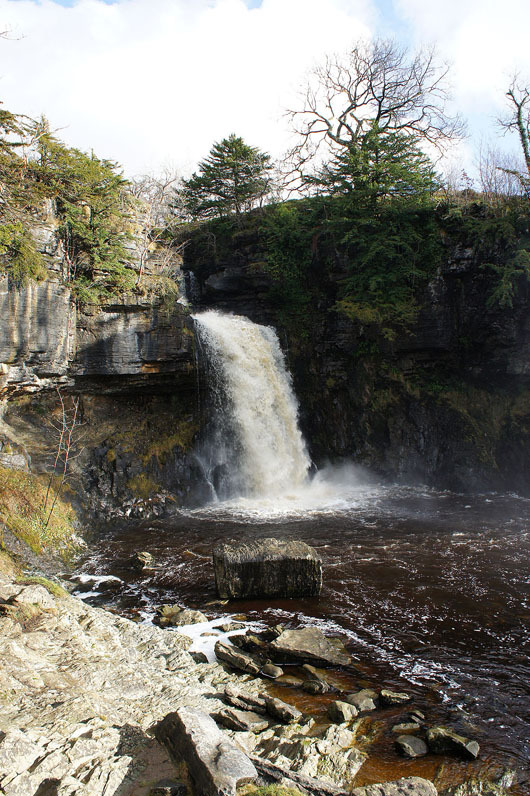 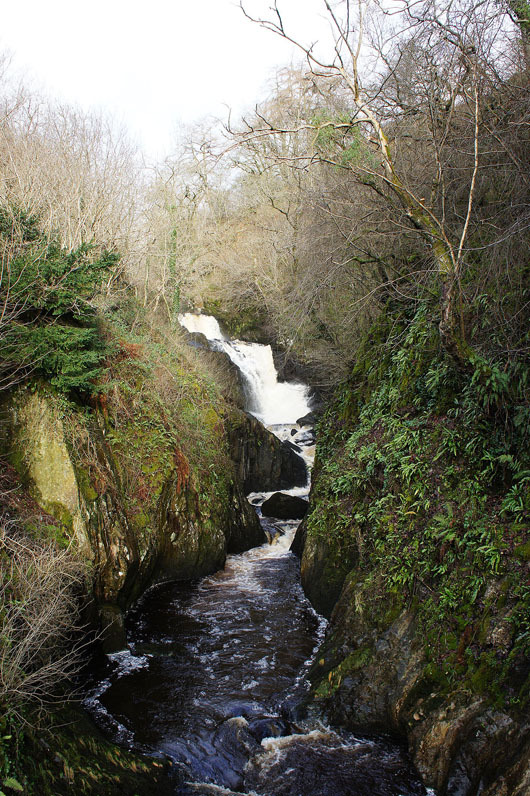 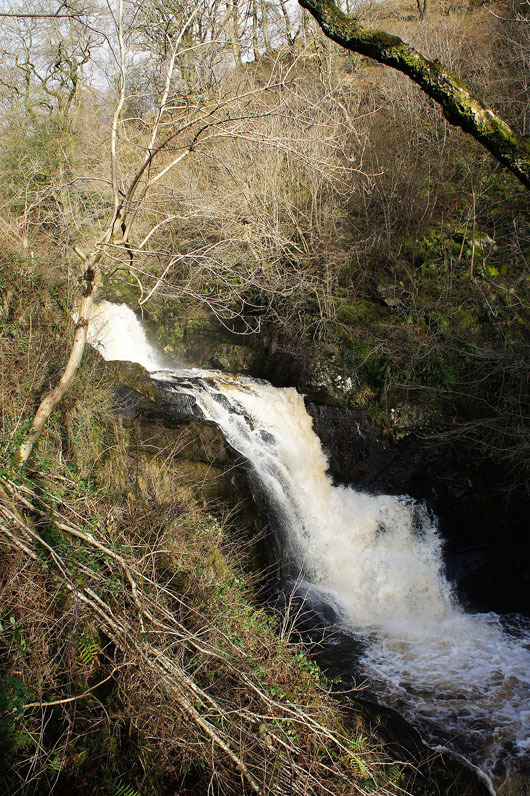 The waterfalls soon resume with Beezley Falls and Triple Spout. 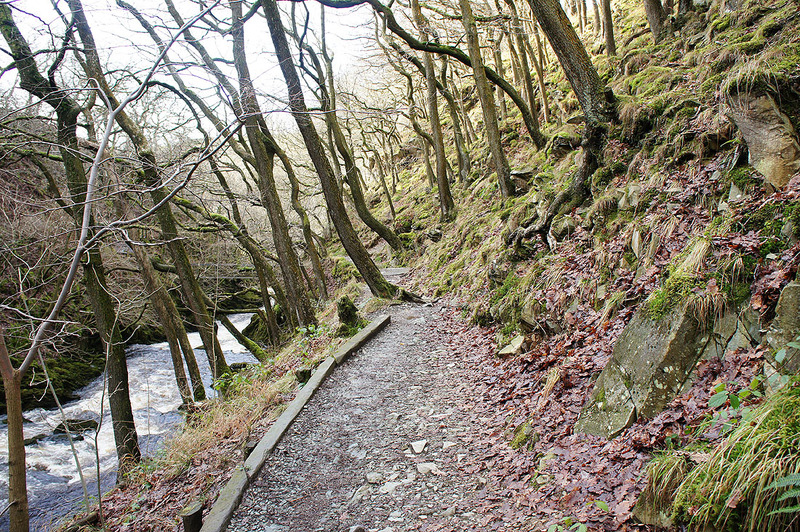 Not much of the trail left. 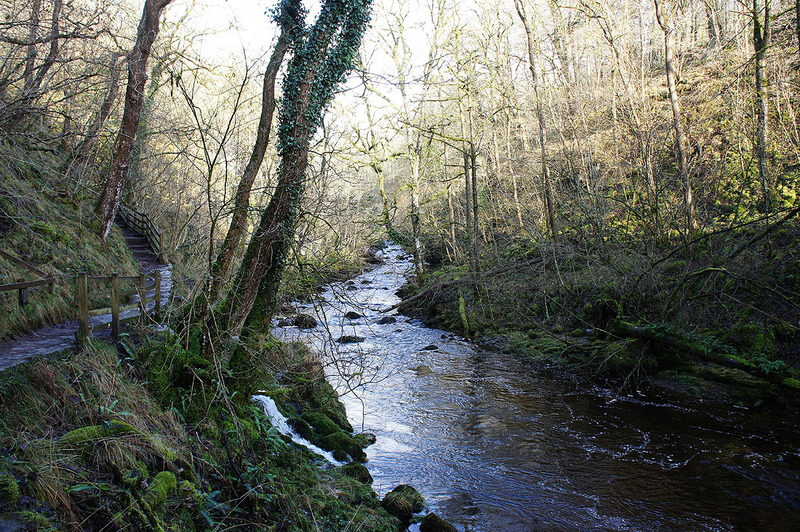 It crosses a footbridge just ahead to head through Quarry Wood.